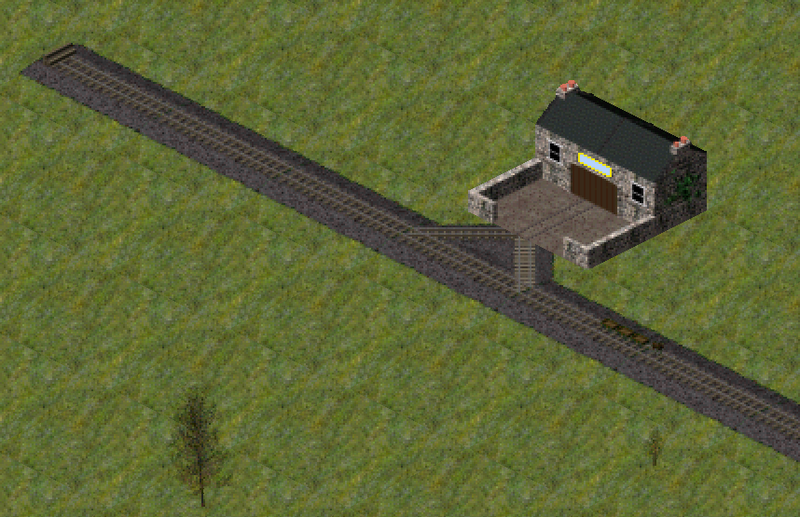 In my work properly to implement the passenger and mail classes feature in the pakset in respect of rail vehicles (this work is complete for all other sorts of vehicle), I have been spending some time improving the provision in the pakset in respect of very early railways (pre-1850s), which has been very limited and not very accurate. Those subscribed to the Facebook group might might already have seen some of the work, but I thought that it would be sensible to post it in the forum, too, as not everybody uses the Facebook group. The work is not yet complete, but here is a brief overview of some of the changes. To accompany this, there are now rail versions of the three main breeds of coach horses and a rail version of the staging post, as this early railway stage coach did not use railway stations, but rather set down and picked up passengers in the same manner as a stagecoach. Note that this stagecoach can be pulled at a good speed by a single horse, just as it was in reality. This is owing to the much lower rolling resistance of rails compared to roadway. 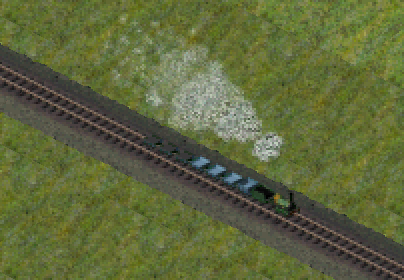 The locomotive (in common with all of the early locomotives) and carriages have been re-rendered to take advantage of the new transparent workflow that greatly improves the appearance of these smaller vehicles with fine details. The carriages have been re-scaled to the correct size (they were previously too large), and the liveries have been made of a more realistic set of colours. 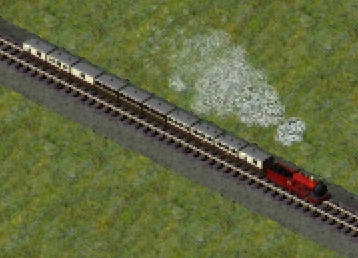 There is now the option for a covered second class carriage (the Liverpool & Manchester Railway initially only carried first and second class passengers, the second class being in open wagons). 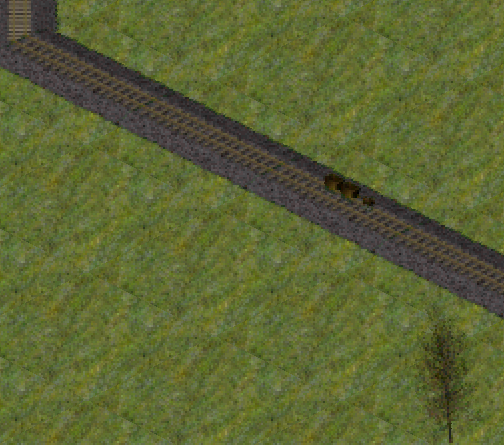 The mail carriage now carries passengers (as it did in reality) at a lower density, and higher comfort/class than the first class carriages (these are set to "very high" by default), with the mail being carried in a separate mail locker, which works in the same way as the holds on the ships. There are now early and late forms of these carriages, the early forms having the short wheelbase and dumb buffers that these carriages had when new, the later form having the longer wheelbase and sprung buffers that these carriages had later, which made them more stable at high speeds and more comfortable for passengers. The early forms can be upgraded to the later forms at a cost. These are a cheaper, lighter, slower alternative to the main line carriages used on the Liverpool & Manchester Railway, and may be more suited to local lines than the LMR vehicles. A number of other early engines have been added, including Stephenson and Dodd's Patent Engine of 1815, Hackworth's Sanspariel of 1829, the "Lancashire Witch" of 1828, the "Royal George" of 1827 and the "Vulcan" of 1834. 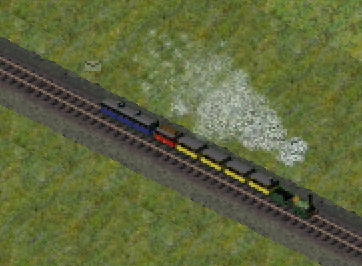 Note the earlier style of makeshift buffers. The wooden waggonways are much cheaper to construct, but wear out much more quickly than those topped with cast iron plates, introduced in 1767. The maximum weight allowable on these waggonways has been increased considerably to allow early steam locomotives to use them, but using steam locomotives on these waggonways will wear them out quickly - on the wooden waggonway, very quickly indeed. 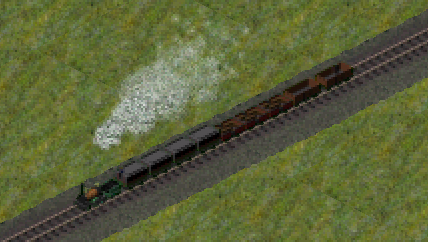 Note also the re-scaled chauldron wagons re-rendered using the new transparent workflow. Excellent stuff. Are you still planning a Swansea & Mumbles version (1807) ? Those extra couple of decades would be very useful. I am having difficulty in finding any information about the original passenger carriages used upon the line (their size, weight, capacity, appearance): the only information that I can find is of the passenger carriages employed after its 1855 re-opening. In that case, why not make the Stockton & Darlington one generic? At least temporarily. I mean, there's can't be that much different. I think it will be much more important for gameplay to cover the full date range, than to have separate vehicles for the Whitby & Pickering, Stockton & Darlington, , Swansea &Mumbles... when they were all variations on a theme. What I am planning to do is have a generic "passenger wagon", based on a converted early goods wagon, as is described in the literature as used by the Swansea & Mumbles, but may also have been used on the Stockton & Darlington in the very early days and other such railways. Edit: This is now done. Asaphxiix is updating the Canterbury server so we can get some of these playtested. Splendid. Work is still in progress on these. Are they in the latest nightly? Many are, but there are some new things on Github that are not in the latest nightly. Here is a train of late 1830s carriages hauled by the passenger version of the Bury bar frame engine, including first and second class carriages (based on designs of the Birmingham & Derby Junction Railway) and the London & Birmingham Railway's famous bed carriage of 1838, which carried the mails in a locker upon its roof. 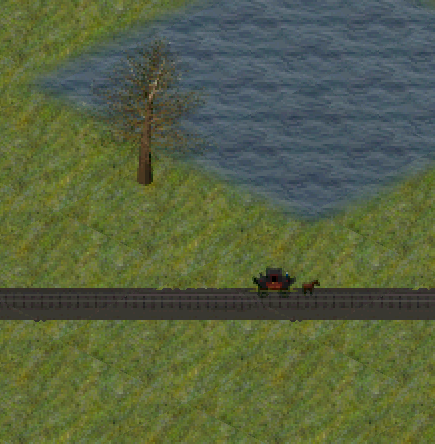 Not shown are the new graphics for the very first travelling post office. Note the roof mounted luggage racks, the guards sitting on the roof and the "flying post office", the very first travelling post office, as used on the Grand Junction and later Midland (and other) railways. These have completely new graphics, and come in a variety of classes (first, second, third and first/second composites). This train contains a mixture of "Parliamentary" carriages (those built to comply with the Regulation of the Railways Act 1844, requiring railway companies to provide (third class) passengers with at least one train a day with enclosed carriages at no more than 1d/mile), open sided carriages, open wagons with seats, and open wagons without seats, known as "Stanhopes". The brake van graphic is entirely new (the original brake van graphic being of a type introduced in circa 1880), and (not pictured) a new brake van from 1841 and a further brake van from 1880 (using a re-scaled version of the original 10t brake van graphics) have also been added. For Puffing Billy this amounts to a coal cost of (0.5587592037* /10 = 0.44 credit cents, rounded up to 1. I added a surcharge for maintenance and staff of 1 and 2, respectively, making a cost of 4. Monthly costs are 200 for each member of staff on the locomotive (normally 2), plus 1 per ton weight, and of course to account for the scale between pakset costs and in-game costs times 2.5. For Puffing Billy this makes ((2*200)+6)*2.5 = 1015. If we can agree on this formula, we might as well incorporate them in the new vehicles as they're being created. I do have a specific plan for how to balance the cost of steam locomotives (and other things), but that will require implementing new features planned for later this year first. I already have a spreadsheet with the statistics of each locomotive, from which its coal consumption can be inferred. The cost of coal will fluctuate with time, which will only be able to be simulated once I add the inflation feature. The staff costs will likewise fluctuate with time (and will be represented with the fixed cost system, adjusted by the pending inflation system). Sounds interesting. Do you have an approximate time table? 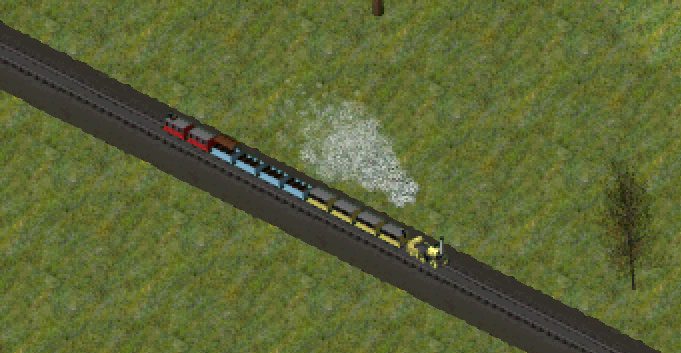 The workarounds might still be helpful in the meantime to bring a few locomotives into play. It is very difficult to predict times because there are so many unknown variables (my spare time, how many high priority bugs that there will be, how long each of them will take to fix, how complex that the features end up being to code, etc.). The best that I can do is to describe what I plan and the work that I need to do before starting. I am currently focussing on fixing reported bugs that I was not able to fix over Christmas because I did not have access to my graphical debugger. Each bug can take between a few minutes and a few months to fix, although the extreme ends of that range are rarely encountered; most bugs take between half an hour and three or four hours of work to fix. 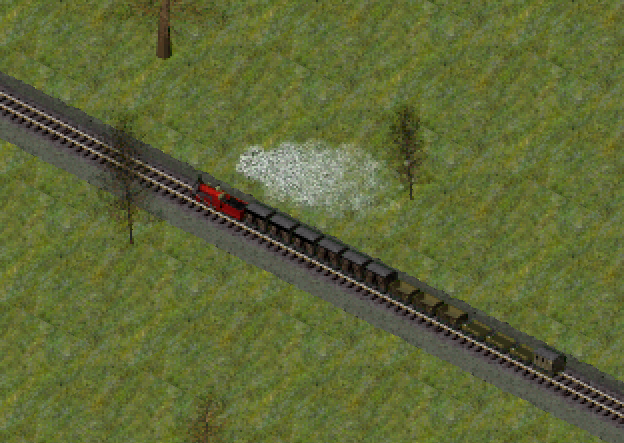 I also need to finish adding the pakset content for passenger and mail classes; the outstanding work on that consists of rail vehicles between 1860 and 1948 excluding multiple units (which have already been completed). Then, I will need to work on the balancing features described here, and especially those discussed here, plus inflation. Then, those features will need to be tested and bugs fixed. Then, I will need to start work on the cost balancing by a mixture of research and repeated testing/adjusting. I should note that, for steam locomotives, the plan is to use a calculated figure for the coal consumption taken from my existing spreadsheet (available here) combined with an estimated average speed to calculate the fuel costs, research data to calculate the repair costs (which will be separated from the fuel costs when the above features are implemented), and researched data on labour costs to calculate the cost of the locomotive crew (the fixed costs). Those will be modified by inflation in different eras (and each of those will inflate at different rates). 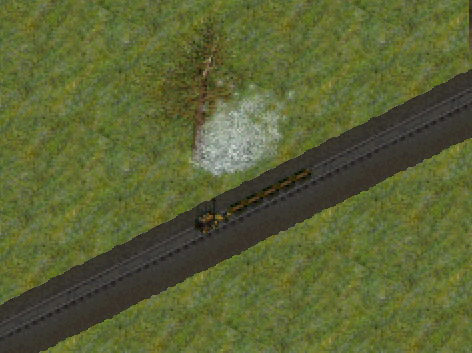 The capital costs will also be balanced based on research data; critical for balancing the capital costs properly will be the availability percentage feature discussed in the posts linked above (as one needs to purchase several steam locomotives to do the same work as one diesel locomotive owing to the differing maintenance needs of the two). Sounds very interesting indeed and I'm sure it's the definitive solution. Given what you tell me, I wouldn't expect this any time before Q3, probably. So if I modify the .dat files in the meantime, that still gives a workaround that people might enjoy in the meantime. I'll post them here and if people want to use them, they can always use Makeobj-Extended. One other (ignorant) question. I see the times the locomotives are available are based on build times. 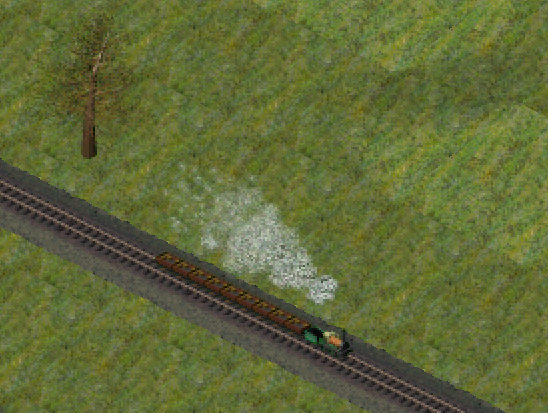 In the old Simutrans Standard, maintenance costs started to rise the moment the locomotives went out of production. I take it you have some kind of "Out of Support" date where they are still maintained? Puffing Billy for example was in operation well into the 1850s. If you are happy to do work that will be made obsolete in the near(ish) future, then do go ahead; if what you come up with is better balanced than what we have now, I should happily incorporate it (although I should not have time for anything more than very cursory testing of that, since I am focussing on the long term). As to your question; there is an obsolescence mechanic, which increases the maintenance cost from x years after a vehicle goes out of production; there is a default value, which can be modified in each vehicle's .dat file. I am not sure whether or not to retain this mechanic when I introduce a proper simulation of vehicles actually wearing out and of inflation. Well, I have to do that to keep my own game running anyway, and it's not very big work if I do that with engines as they become available (and using a model I can put in LibreOffice Calc). So all that's left is publishing the .dat files. The first results are encouraging. Puffing Billy, with the settings mentioned earlier, is profitable with the maximum load it can handle at max. speed, just over half of which goes to the Running Costs and the Access Charges for a public service railway. Though I would need at least 10 of them to offset the maintenance cost of the depot. I assume that as more powerful and faster engines become available, this will slowly make the trains from a marginal affair to becoming the transport of choice. I should note that the depot maintenance costs are not yet balanced either. 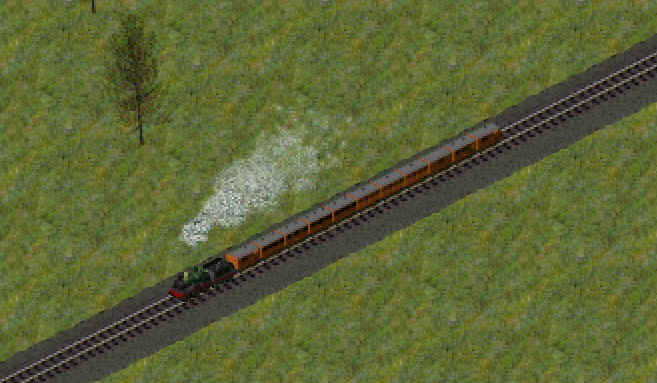 Please find the altered running costs for Puffing Billy, the Stephenson-Dobb and Stephenson Improved at https://simutrans-germany.com/files/upload/Vehicle_costs_Locomotives_1813-1820.zip. As usual with my cost calculations included. I also take back in part the point on train revenue. I overlooked the importance of rolling resistance to useful loads. 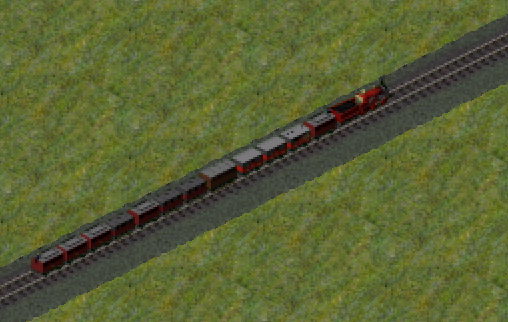 When I had the trains running food trucks rather than wooden wheel cars, two trains outperformed five of the original ones. One still needs several (5 or 6) to overcome the maintenance costs of the depot though, and these early trains (as one would expect) cannot compete with boats. I am only just coming to look at this now, and I am afraid that the download link has expired so that I cannot download the file. Two changes compared to the previous files. It turned out both the maintenance costs per ton weight and the coal costs went below the scale of Simutrans (and locomotives became too cheap compared to other vehicles). So the former got a scale multiplier of 6 and the latter of 24. In addition, all locomotives from 1813 to Wilberforce in 1831 are now included. Thank you for that - now incorporated.